Today marks a special moment in Bolting Bits history for us. We are now lucky enough to premiere a track from our very own – Igor Bezuglov! For those that do not know, Igor is one of the major pieces that keep our music blog running behind the scenes. But being a man of many talents, he has been working on his own productions the past few months to deliver us his first tune under his alias Igor B. 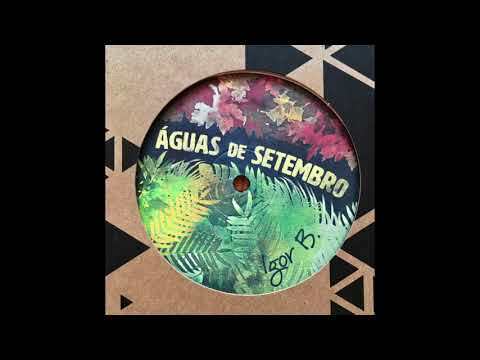 Titled Ponteio (which means “bridge” in Portuguese), this song is the A-side of Igor’s debut record Águas de Setembro that is set to come out on Peter Croce and Moonlighter’s Detroit imprint Rocksteady Disco later this month. Throughout the piece, Igor utilizes the Brazilian original’s rolling bassline, impromptu instrumentation, and bittersweet vocals to capture what everyone’s feeling this time of year. Although many of us understand that cold months lay ahead, we are also eager to keep the good times going no matter what – and it’s this palpable optimism that makes the song the perfect soundtrack as we transition from summer into autumn across the northern hemisphere. To get yourself a copy of this record, make sure to pre-order it by clicking here.